Good graphics: check. Mythical creatures: check. Blood, violence, and a shamed gladiator set on revenge: check, check, and check. If all those are all on your list of "things for a good mobile game," then Gamelion Studios' Rage of the Gladiator should fit the bill pretty well. * A monumental undertaking, with content comparable to a console title, but with a budget title price! For the moment, the game is only available to European residents, though a full global release should be "coming soon." If you meet that requirement, you can grab it for free at the widget below. Otherwise, keep an eye on the Play Store page for expanded availability. 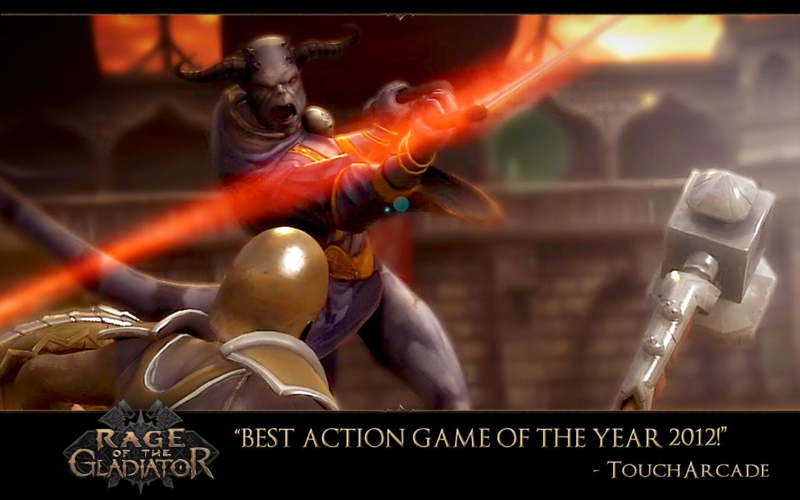 Play the best action game of year 2012 now on Android smartphones and tablets! 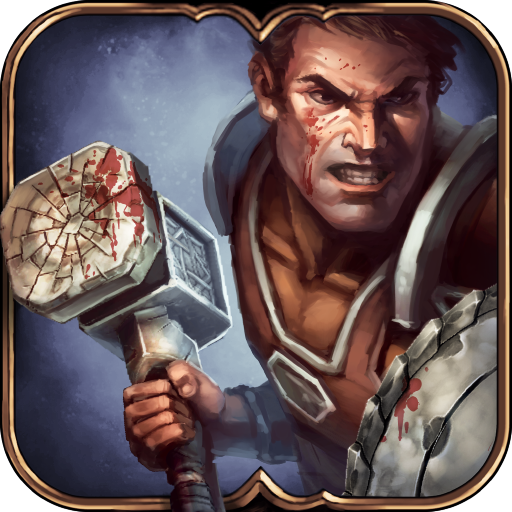 March 7th, 2013 - Cupertino, California - Gamelion announces today that the Android version of Rage of the Gladiator, the critically-acclaimed, fantasy-arcade fighting game is available now on the Google Play Store in European countries for Android smartphones and tablets. The game is scheduled for a worldwide release within next weeks. You play the role of Gracius, a gladiator battling for his life in the arena. Your opponents are no ordinary evil, but are epic boss fights whose tricky attacks will challenge even the most elite gamers. 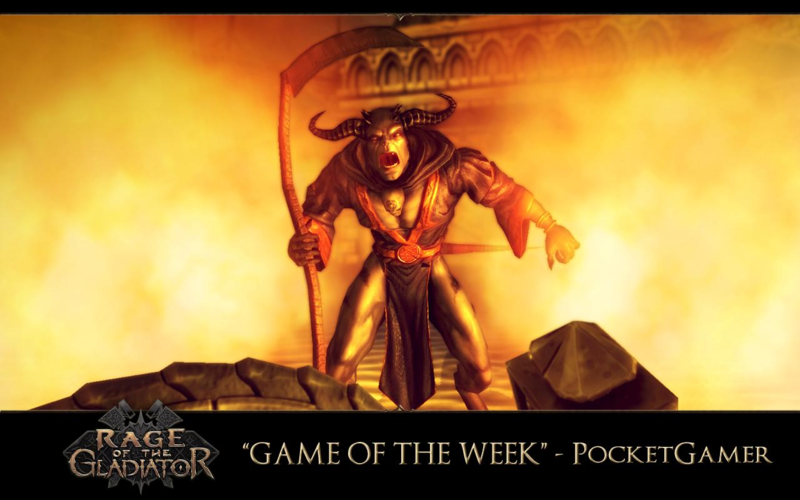 There are no ‘fodder’ enemies – its all bosses - the most fun part of games! Beat them before they brutally beat you. Full voice acting. Each boss has its own personality, and taunts you mercilessly! Extremely realistic animations. When you attack bosses, the impacts and hits feel "real." 14 insane finishing moves. Summon a fiery meteor, a savage tornado, or transform into a hulking colossus 10x your size! Customize your character with new weapons and armor. Gain new powers and skills! How will you build your character? Choose Offense, Defense, or Magic. Epic music. Enjoy blood-pumping masterpieces by legendary composer Sean Beeson! Great replay value. Beat the game to unlock new difficulties, where bosses are much tougher with all-new abilities! Over a dozen hours of gameplay! A monumental undertaking, with content comparable to a console title, but with a budget title price! 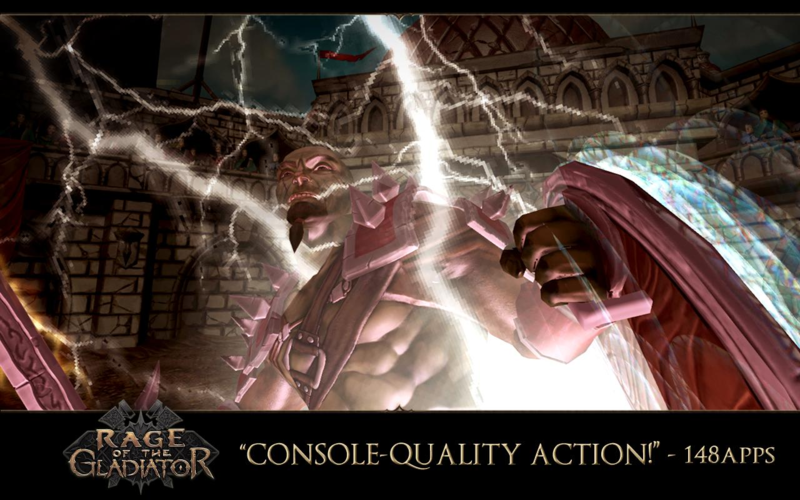 Rage of the Gladiator was originally developed for the Nintendo Wii and is © 2009, 2013 by Ghostfire Games. Gamelion is one of the leading independent game studios focusing on mid-core and casual games for all digital distribution platforms. Company has developed well-known corner franchises of the global gaming industry for leading game publishers since 2002 and more recently published new original fan-favorites, including League of Heroes, Monster Shooter, Crazy Kangaroo and Doodle Fit.